With great excitement we announce The Nutcracker Tea 2018! The perfect way to kick off your holiday festivities with a delightful afternoon in a charming new venue! 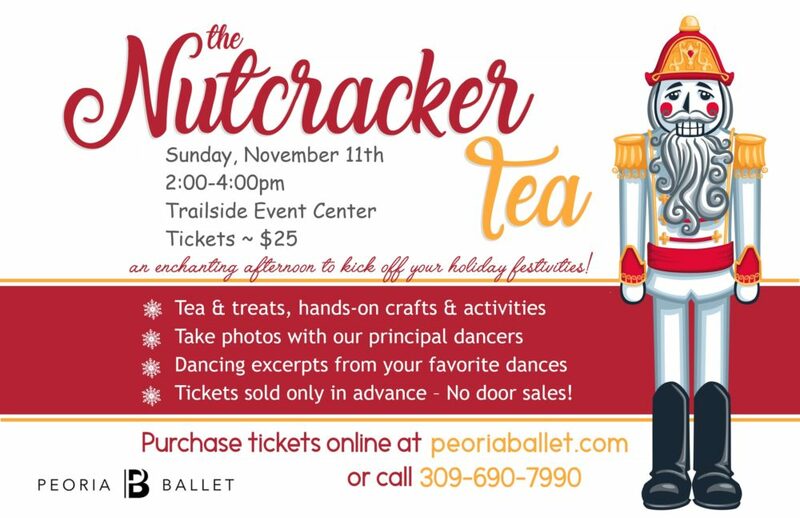 Join us for tea/hot chocolate & treats, hands on crafts & activities, and the exclusive opportunity to take a photo with our principle Nutcracker dancers with our scenery! The program features dancing excerpts from your favorite scenes! Don’t miss your chance to interact with our dancers up close and personal while enjoying a sneak peek of our award winning Nutcracker production. Perfect for children of all ages! Tickets sold only in advance. There will be no tickets available on the day of the event. Last year this event sold out – get your tickets early! The Nutcracker Tea 2018 was another wonderful sold-out event!